Having just visited Indonesia for the fourth time and having sampled a good variety of what this country has to offer – including surf charters, rice paddies, monkey filled temples, incredible wreck diving and island hoping – I thought it was about time to add this destination to my monthly budget series! So heres a run down of my main costs during my time in Indonesia (mainly Bali admittedly!) to help you price up how much you might be spending during a month in this amazing part of South East Asia. All prices were done on an exchange rate of just under 20,000IDR to £1GBP. Unlike places like Thailand and Cambodia there’s not much in the way of traditional hostel setups in Indo, there are however a HEAP of guest houses and budget hotels to choose from. Your best bet on this front is a good old fashioned Trip Advisor search or personal recommendation. The following are based on where I’ve personally stayed in, the averages are what I’ve looked around for. Tucking Into Some Epic Indo Food! Most guesthouses also have a free breakfast too which is always a budget saver! Favourite place to eat – Warung Indonesia, an absolutely amazing Indonesian Buffett place in between Poppies 1 and 2 in Kuta, Bali and you can have a solid feed and a drink for under £1.50! Other Top Tip – you can party pretty damn cheap in Kuta (literally spending less than £5!) in places like the Skygarden BBQ (which includes an hour of free beer and 3 hours of unlimited buffet for £2.50!) 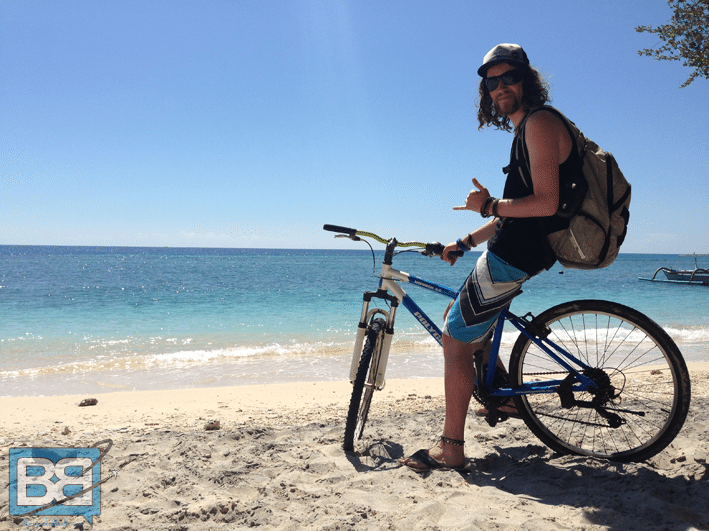 check out my Kuta post for more info! I’ll be honest here, when I’m in Indonesia I tend to base myself in Bali and surf, taking the odd day trip here and there – so my experiences are limited to minibuses and shared taxis, except for a few trips further afield! Depending on what you want to do in Bali the travel costs are going to be what set you back a good chuck of your budget. You can rent a moped pretty cheap here for shorter days trips for around £5 per day. If I had to pull out what the average backpacker would do over a month I’d say you’d be looking at a day trip down to Uluwatu to surf or see the temple, at least a day trip to Ubud (if not longer) a stay on Gili T, trip to Komodo National Park, a surf lesson on Kuta Beach and a couple of massages. It’s All About The Rupiah! This would include accommodation, meals, transport and some of the key activities. One of the key exclusions in this estimate it ALCOHOL though, so if you’re intending on partying expect this overall cost to rise! But in all honesty drinking in Indonesia is pretty cheap though with a small beer being less than £1 in a corner shop or around £1-2 in a restaurant. As always though I’d like to point out that this is merely a base point for your spending in Indonesia and it’s always best to over budget for travelling to allow for personal changes in spending habits! 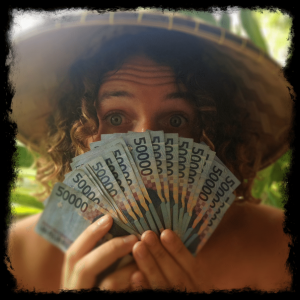 For example my last trip to Indonesia cost me nearly £800 for the month I was there! There are also a range of group tours in Bali for those travelling solo or who want to kick back and enjoy their trip without worrying about how to get around and booking activities too! My pick of those would be the epic 18 day Bali and Komodo Adventure Tour which covers Canggu, Ubud, Gili T, Lombok and Komodo National Park! Hi! I’d like to ask how did you get to Gili T for £25 return? I’m going to Bali at the end of this month, and I’d like to visit Gili T as well, but I’ve heard the ferry is not operating anymore, so the only option from Bali (except flying to Lombok which is more time consuming) is the kind of expensive (80-100 USD return) fastboat service. So how did you manage to make it much cheaper? Your blog is awesome, keep it up! I was there at the beginning of the month and the boat services were still running – it was easy enough to book them via guesthouses in Kuta or from various travel vendors around the place. Thank you! I was a bit worried about the speedboat prices, as I found they’re around 100 USD return, but it’s good to know the cheaper option is still available! I have a feeling that might be a private speedboat transfer Borisz as the boats I’ve been getting were much cheaper. Wow! This is so detailed and helpful. Great post…thank you! Im taking notes for my future trip in Indonesia. No worries Vanessa – glad it helped! Nice calculation. These tips will definitely make my 1st holidays trip to Indonesia awesome. No worries Hannah – let me know how you get on! I’ve been reading this budget series and it’s so helpful, thanks very much :) Is there as way to see when an article was written to gauge how up to date the prices are likely to be please? Stoked it’s helping you out! Although the post dates aren’t displayed the date of the first comment is usually the best way to check it! Thank you so much. Can’t wait for my trip. have an awesome time Leana – let me know how you get on! this is a great list thanks for putting it together!! Me and my gf will be heading to indonesia with more or less tight budget. And we were beginning to think it was not possible (diving + travel + komodo). I have a question about komodo, how did you find something so cheap for 4 days? Can you share a link? Thanks so much for this. So helpful! Unfortunately I made the mistake of forgetting to double your estimates for two of us – and have promised my hubby that we can live it large out there for an entire month for £600 minus flights!! anddddd I threw in some diving promises too n convinced him to take a month off work and booked flights… trouble looming. 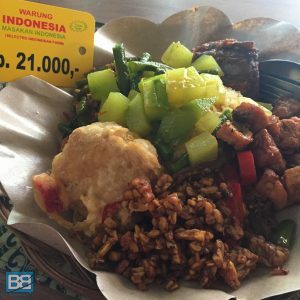 Can you recommend the cheapest spots to stay on in Bali, Lombok and Gili? Not that we can be choosy, but we’d like to avoid booze/party hotspots if possible. Plz help if u can. Oh dear Safirah! Good luck with that! 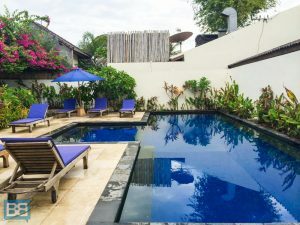 Gili T is easy enough to find a nice guesthouse, just have a short walk around and see whats available (I stay in different places each time) and in Bali it depends where you want to be. I use Ayu Beach Inn on Poppies 1 in Kuta which is close to the surf and town, but Kuta isn’t for everyone! Canggu is a really nice spot but I’ve never stayed there except for day trips. Sorry I cant be more help on that front! Hey, I noticed that you went on a Komodo sailing trip – I’m heading out to Bali in a couple of weeks and was wondering what company you used? Thanks! Hey Freya, I actually didn’t do one myself – I used the info from my buddies trip she went on whilst we were out there. Unfortunately I totally forget to take down the name! Hi Chris, I’m planning to go to Bali in 2016 and was wondering if we could camp around near the beaches? Hmmm I’m not to sure about camping to be honest, you might be able to get away with it at some of the more remote beaches though but play it safe. Really good post! Proud to be Balinese. Hope more customers come to my island. Cheers! Just want to add a little more, if you want to search for Affordable Bali Long Term Rental for weekly/monthly/yearly there is a local site Bali Budget Housing they list house, villa and apartment. thanks for sharing Lauren, always good to have some extra resources in there! I’m gonna stay for one month in Bali too. Can you recommend a good guest house/hotel (15-25 $ per night) incl. a swimming pool (to chillax after a long sports day) or in general a strategically wise accomodation location? My central aim is to surf/dive and to go out from time to time (not clubs, but rather easy going bars). I intend to have a sort of base from where I can reach grocery stores, surf beach breaks and bars by walking distance. At the same time I would like to stay somewhere where the tourist noise level rather low and have the chance to meet some cool people. I would appreciate if you provided some feedback. In that case I can recommend Uluwatu or Canggu for your base – really nice surf spots and you can easily day trip for scuba diving and exploring. Gili T and Ahmed might also be worth checking out for diving too! This is extremely helpful as I am planning a three week trip to Bali and Lombok in 2017. I am also looking at visiting in November time frame as I will be able to get three weeks off no problem at that time of the year. However, I hear that it is the beginning of the rainy season in Indonesia at that time. Have you been to Bali during the rainy season at all? And if so, how wet does it really get? Stoked it helped you out! Indeed I’ve been in Bali around Nov/Dec time and there can be some heavy downpours, however it’s still warm and the sun still comes out. It can be pretty hit and miss though. I couldn’t have come across this post at a better time as I’m planning a major kayak adventure in Bali for like a month. Thanks for giving me an idea of how much I need to budget. Cheers! Thank you so much for this. I will be there in a week or two, what budgetsurf schools can you recommend. The camps seem to be more expensive. Or do you think a camp is worth the money. No worries Anna – stoked it helped you out! There are cheaper surf schools on the beaches if you just want a few lessons, but the surf camps are solid if you’re wanting to meet heaps of people and include accommodation too. If you wanted to do something like the Mojo Indo Island hopper its all a good way of travelling around too – hit me up if you want some discounts! Hello! I will be in Bali next week. Just out of curiosity, what company did you book your Komodo tour with? Also, is it best to book in the city or ahead of time? Hi Michael, it was my buddy that booked that Komodo trip and I totally forgot to write down the name! Sorry! Great blog! Thanks for the useful list of prices and the inspirational pics! Planning to go to Indonesië soon. Currently enjoying beautiful Laos. Thanks Frank! How’s Laos going? Awesome thanks for the info! 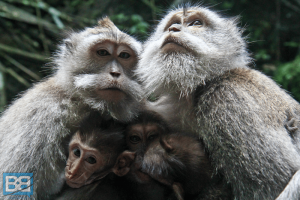 Me and my girlfriend are planning a month in Bali next winter… We are hoping to see the surrounding islands as well. Is it cheaper to fly or take a boat? Thanks! Thank you for your helpful great article. Me and my friedns will go in Bali after two months and that time your article will be very helpful for us. That’s why i just bookmarked your site. Keep doing good work, my dear. Best Of Luck and thanks again. Thank you for shared your experience in Bali, Chris. It will be useful for your blog reader. So, they can calculate how much the budget they will spend it while in Bali. Also it provide some efficient itineraries, it will be helpful for sure.